Play the FREE Texas Tea Slots Here: One of IGT's best fun pokies games. If you are a fan of IGT’s games then you will definitely love playing the Texas tea slots machine. This game focuses on the owners of the oil fields in Texas. The game is available for anyone who wants to play with real money at select casinos also. It has great features ranging from bonus rounds to awesome graphics to outstanding symbols. It is important to note that the game can only be played in flash mode or Instant Play. Some social casinos like Double Down may have a mobile version for iPad, Android or iPhone. Texas Tea Slots Guide (Free play version). n e. It gives you an opportunity to place a bet that ranges from 5 cents to 5 dollars. This amount can be in US dollars, euros or pounds. There is also an option of claiming the jackpot. The highest you can claim in a jackpot is 10000 credits. 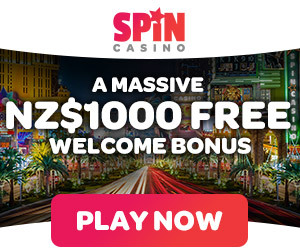 You can also claim the second highest jackpot of 1000 credits. The game has outstanding graphics and sound effects. This feature undoubtedly gives gamers the best gaming experience. IGT is well-known for designing and incorporating incredible graphics to all their gaming products. In their quest to provide high-quality graphics, IGT acquired software from top software providers such as WagerWorks and WMS Games. The symbols used in the game comprise of elements that are usually seen in Texas. These elements include Yellow Rose, Cactus, Longhorn Steer, Bluebonnet, Globemallow, Machine, Cadillac, Armadillo and Logo of Texas. You can claim the maximum jackpot by acquiring only five Texas Tea slot icons. The game has 2 scatter icons- the Texas Red icon and the Oil Derrick. These icons can help you create winning combinations. You win if four or more scatter icons appear on the reels. The bonus rounds are one of the easiest ways one can win when playing Texas Tea. The game includes two bonus features. These features are the Big Oil Derrick and the Oil Dividend. These two features can be activated whenever a scatter icon appears for a specific number of times on the reels. For instance, the Big Oil Derrick is activated when you have a minimum of four Oil Derrick icons. The screen of the game shows a set of animations. The animations show the map of Texas. Regions can be selected depending on the number of scatter icons that were used to activate the special feature. As soon as you select a region, your bonus credits increases. This is immediately followed by spurting of oil from the map. The additional credits acquired will be added to your overall win. After you are through with the bonus round, the base game will resume. The Oil Dividend Check bonus game can be activated when Texas Ted icons appear on the reels. A check is written by the Texas Ted when four or more of these icons emerge. The win is then multiplied to the bet you had placed. The size of your bet is important as that is what the bonus feature uses to determine your winnings. The Texas tea slot is a fun and exciting game. Its great features set it apart from most of the games online. It has a platform that is simple to understand, thus giving every gamer around the world a chance to enjoy this magnificent game for free today on our site.